Are you feeling the chill, like we do in Norway right now? Why not try this hot and spicy Korean chili soup. It is perfect for this type of weather, chilly and humid. 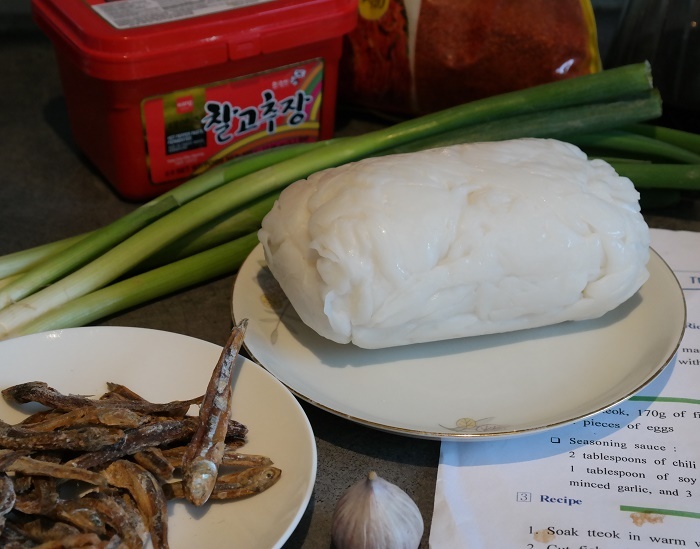 I first encountered this soup when I lived in Pusan, South Korea but did not learn to make it untill I was back in Norway. I was invited to a cooking class held by the Korean embassy in Oslo. We made Japchea sweet potato starch noodle stir fry and Tteokbokki(떡볶이) a spicy korean rice cake dish. 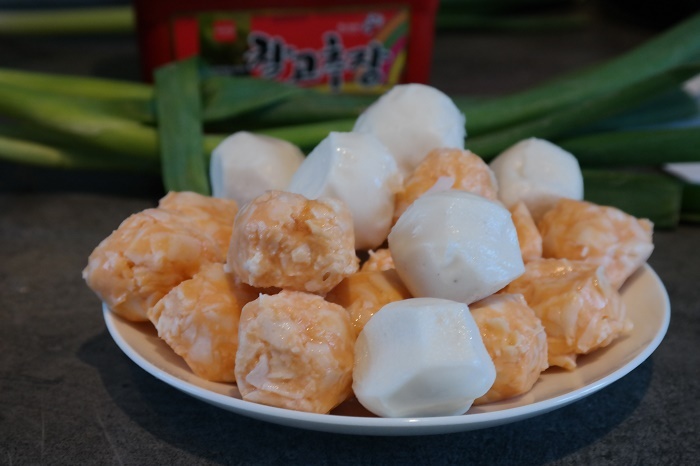 This dish is Tteokbokki inspired, I have not been able to find all the ingredients like tteok and odeng, the rice cakes and fish cakes used. I did however find some doable replacements. I think I have to try to make tteok one day and make this soup properly. 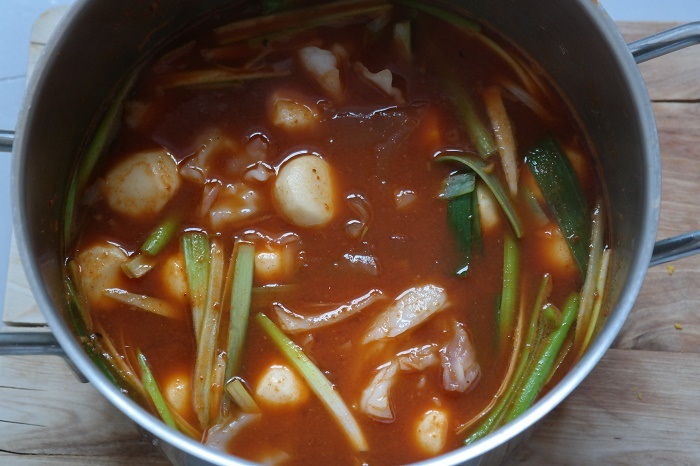 The heat in this soup comes from the fermented chili paste used(gochujang,고추장) and chili flakes. Gochujang is a savory, spicy, and fermented Korean condiment made from red chili, glutinous rice, fermented soybeans, and salt. The embassy chef instructed us on how to make this dish and showed us how to make the simple broth used. She boiled some dried anchovies in water and strained it and voila, broth. Boil the eggs for 8-10 minutes. Make anchovy stock by cooking anchovies in water for about 10 minutes, remove the anchovies. Add the seasoning to the broth. Bring to a boil, when this is boiling add the fish balls and rice flakes. Turn down the heat to medium. Cut scallions crosswise and add them to the soup. Let this boil for a minute or so, enough for the scallions to soften slightly but not lose its colour. Pour the soup into serving bowls and add the eggs, the serve and enjoy the heat.